When I heard John Bryant for the first time, at the Animal Aid Christmas Fayre of 2015, he introduced himself as a “pest controller”. This announcement was followed by a silence from the audience that exuded masses of determined tolerance – a superhuman effort from a group of animal-lovers. Fortunately, he did not try our patience for long and reassured us that he had never harmed an animal in his entire life. In fact, John Bryant is a leading expert in non-lethal pest control, a man with one foot in the pest control industry and one (very firmly) in the animal welfare and rescue camp. The book, as can be expected, is full of fascinating and engagingly presented facts about the creatures who find it possible to share with us our immediate environment in towns and cities. More importantly, perhaps, it explores sources of and solutions to conflicts that urban dwellers and their four-legged and feathered neighbours might find themselves in. 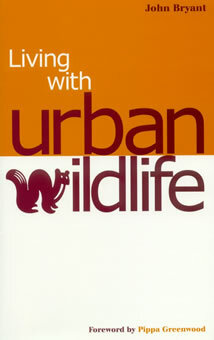 There is both interesting information and useful advice for those who have their lawns, lofts, kitchens and golf-courses spoilt by urban wildlife. Solutions along the lines of Helikite, Renadine, bird and squirrel guards, optical gel, electric fencing (including fencing for rabbits) are explored and explained. A few myths are dispelled in the process. If you happen to think that pigeons spread diseases, or that squirrels damage trees, or that you are never more than 10 meters away from a rat, this book is definitely for you. For those of us who are already convinced that urban wildlife is wonderful and that, if a conflict between human and non-human animals does develop, good fences make good neighbours, there are still many interesting facts to enjoy and, yes, to use in debates. A word of caution on the latter point though: new data, as well as new regulations, come in all the time, so numbers and legal references should be checked with up-to-date sources before being quoted, since the situation may have changed from the time of publication.